Birbhum is the northernmost district of the Bardhaman Division of West Bengal, with its headquarters in Suri. Triangular in shape, its western and northern borders is the Santhal Pargana division of Jharkhand state and to its east and south are the districts of Murshidabad and Bardhaman respectively. In ancient times, the region that now constitutes Birbhum belonged in part to the Rarh region and part to the Vajjabhumi or Bajrabhumi (land of the thunderbolt) tract, a part of the eastern fringe of the Chhota Nagpur plateau. According to some scholars, the word Rarh means ‘land of red soil’ or ‘land of laterite’. Rarh was part of the Mauryan kingdom and was subsequently ruled by a succession of Hindu and Buddhist dynasties up till the 12th century. In the 13th century, the region came under Muslim rule, but for many centuries thereafter, Muslim control over the Western part of the district appears to have been merely nominal, and the area was ruled by local Hindu chiefs called Bir Rajas. It was only in 1787 that the district of Birbhum was officially formed by the British East India Company. 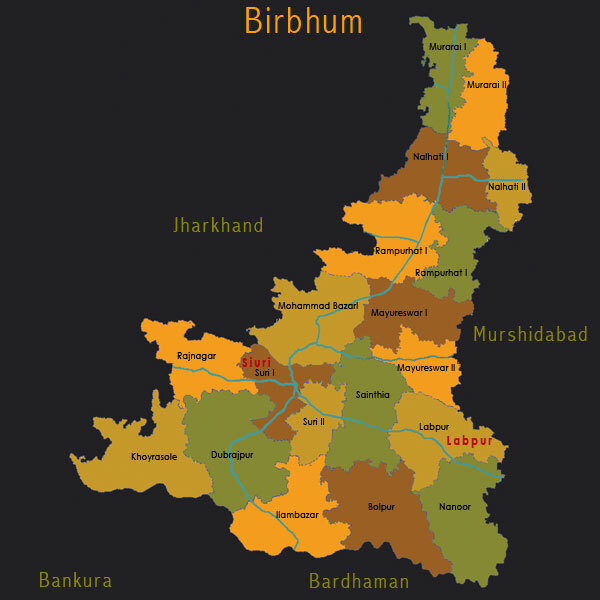 The name Birbhum comes probably from the term Land (Bhumi) of the Brave (Bir). Another theory says that the district bears the name of the Bir kings. But, Bir in Santali language means forests, and therefore, Birbhum could also mean a land of forests. The region has been inhabited from pre-historic times and there have been several discoveries of Stone Age implements in the district. 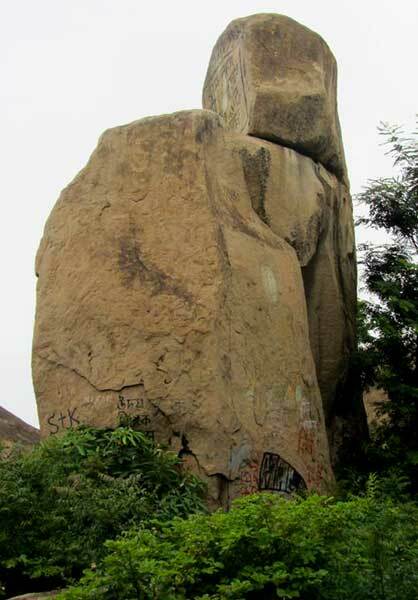 It is said that the last great Jain Tirthankar Mahavira had wandered through this land in the fifth century BC. The district is well drained by a number of rivers and rivulets, like the Ajoy (which separates Birbhum from Bardhaman), Mor or Mayurakshi, Kopai or Sal, Bakreshwar, Brahmani, Dwaraka, Hinglo, Bansloi, and Pagla. It is primarily an agricultural district with around 75% of the population engaged in cultivation. The principal cottage industries of the district include the harvesting and weaving of cotton and silk, rice and oilseed milling, lac harvesting, stone mining, metalware and pottery manufacture. According to the 2011 Census the district has a population of 3,502,387, with 87.20% of the population living in rural areas. Communities indigenous to this region include the Bagdis, Bauris, Dom, Mal who are scheduled tribes who gradually lost their tribal character and became Hinduized. However traces of animistic worship are still to be found among these people, such as the worship of village deities (Gram Devata) Manasha and Dharmaraj. Other than those speaking the local dialect of Bengali, there are Santals and several other tribal communities like Koda, Mahali, Oraons and so on. The Jadupetia community, makers of the Jadu patachitra, are also to be found in this district. Birbhum is the venue for numerous folk fairs around the year, like the Poush Mela in Santiniketan on the 7th day of the month of Poush (at the end of December). 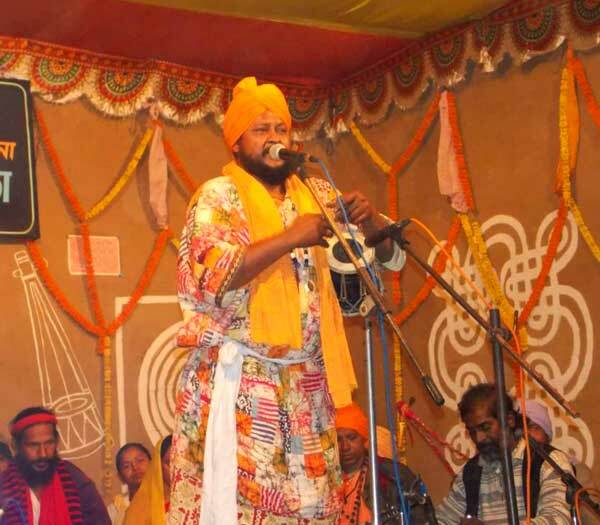 A Baul-Fakir festival is held every year during winter at Joydev Kenduli on the banks of the river Ajoy. Kenduli is said to be the birthplace of the 12th century poet Joydev, composer of the renowned Vaishnav epic, Geet Govinda. Bauls are the most notable representatives of the folk culture of this district, which has also been home to famous Kabiyals and Kirtaniyas. A gathering of fakirs takes place every March in the village of Patharchapuri. All the festivals are associated with large fairs where the crafts of the entire state are showcased. 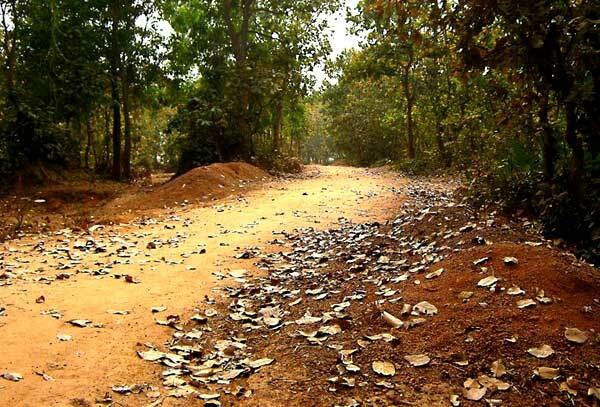 Santiniketan, near Bolpur town in Birbhum, was made famous by Rabindranath Tagore. The poet laureate founded a school here which was expanded into the Visva Bharati University in 1921. It is now a major tourist attraction in West Bengal and draws thousands of visitors every year. Based on his convictions about traditional knowledge systems in crafts and their relevance to the education of the art student, Tagore set up the Shilpa Sadan in Sriniketan as part of the University in 1922. Traditional folk crafts for which Birbhum is famous include Nakshi kantha, a traditional quilt art, mat weaving (madur), basketry, the unique measuring bowls known as Sherpai, terracotta dolls and the creation of sculptures from the delicate Shola pith (sponge wood). The folk culture of the region extends to performing arts such as the Bahurupi acts, Jhumur songs; Raibneshe, a martial dance form; songs sung by women during Bhadu and Tusu festival celebrations; and the dirges known as Jaari Gaan sung by members of the Shia community commemorating the tragic events of Medina and Karbala and the death of Hazrat Imam Hassan and Hussain. Birbhum’s Patachitra a performing art where the artist, the Patua, was a combination of painter, composer and singer, is now mainly a visual art form. Birbhum has a number of other major attractions. The temple and hot spring at Bakreshwar draw pilgrims from far and wide. 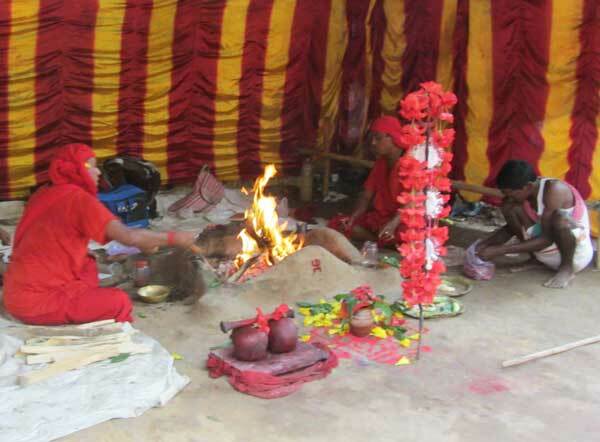 Tarapith is known for its Tantric temple and the adjoining cremation grounds, which is the site of Tantric rites. 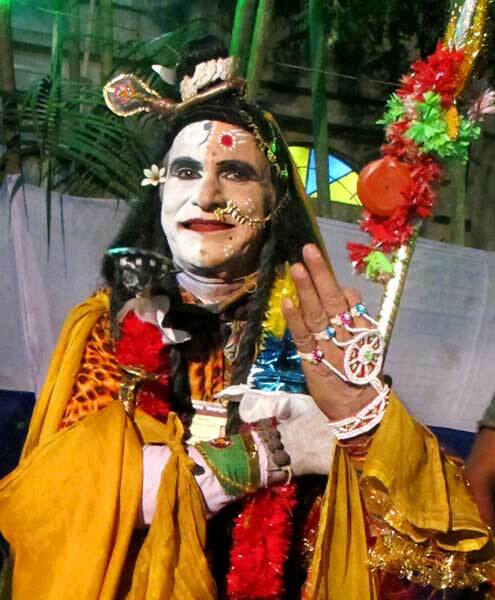 Bamakhepa, known as the ‘mad saint’, worshipped in the temple and resided within the cremation grounds as a mendicant and practitioner of Tantric art. Birbhum has many other old temples, such as the ones at Joydev Kenduli, Surul and Nanoor with their delicate terracotta tiles.